The dogs are doing great. They're handling well and performing exactly as they should. The days, weeks, months and years of training are paying off. Then there is a point followed by a back. The handler announces 'get ready," and that's the last clear recollection anyone has about the event. The rest is a gray area that everyone wishes could be walked back. Situation analysis. In bird hunting, birds get shot. In bird hunting, other hunters do not get shot. And in bird hunting, dogs don't get shot, either. Leading causes for dogs getting shot include a hunter's excitement, inexperience that leads to quickness on the trigger, and birds not flying well. Shooting a dog is unforgivable because it's entirely avoidable. To keep from making this grave mistake take a few moments to understand how the dogs on the ground work. Then, make it a priority to keep them safe. No game bird is worth a shot or peppered dog, so here are a few questions to ask when you get invited on a hunt over someone else's dog. 1. Ask to what level is the dog trained? Pointing dogs of all breeds are trained to different degrees. If you're hunting with a buddy, then the odds are you know a lot about his dogs and his training style. If you're new to the group, then know what level of dog work you'll likely see so you can be prepared to be safe. Broke: A broke dog is steady to wing, shot, and drop. After the flush and shots, the handler releases his dogs from their point. It takes a lot of training time and good genetics to have a finished dog that stands its birds like a statue. Broke dogs are used on wild birds, on preserves and in field trials. When the bird flushes these dogs won't move upwards of 99.9% of the time. That said, we all have our days, and there may be one day in 1,000 when a broke dog bolts. Steady to wing-and-shot: These dogs lock up on point and remain so when the bird flushes. They also hold tight until shots are reported. At that point, they'll break to pursue the downed bird and quickly get on the quarry for a retrieve. Dogs that are steady to wing-and-shot are used on wild birds as well as on preserves. Steady-to-wing: Dogs that are steady to wing lock up on a bird and hold their point until the bird flushes. 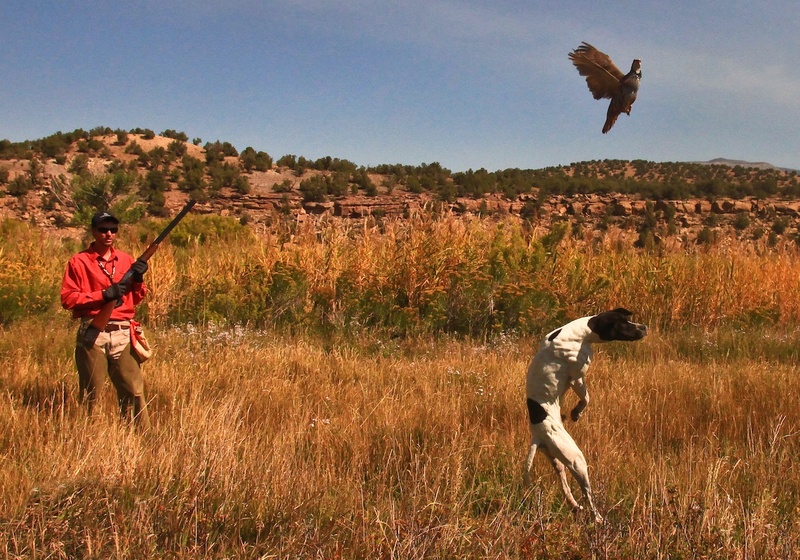 Steady-to-wing is a common training method among wingshooters who focus on wild birds. These handlers train this way for a variety of reasons. First, the wild birds are up and gone at the flush. Wild birds don't hop like a preserve bird on a rainy day. The theory is that a dog can quickly get up on a bird for a retrieve. Wing-tipped birds can run, so a dog that gets close to where the bird dropped easily picks up foot scent and returns with the bird. Over the past few decades, the use of both pointing and flushing dogs has increased in popularity. 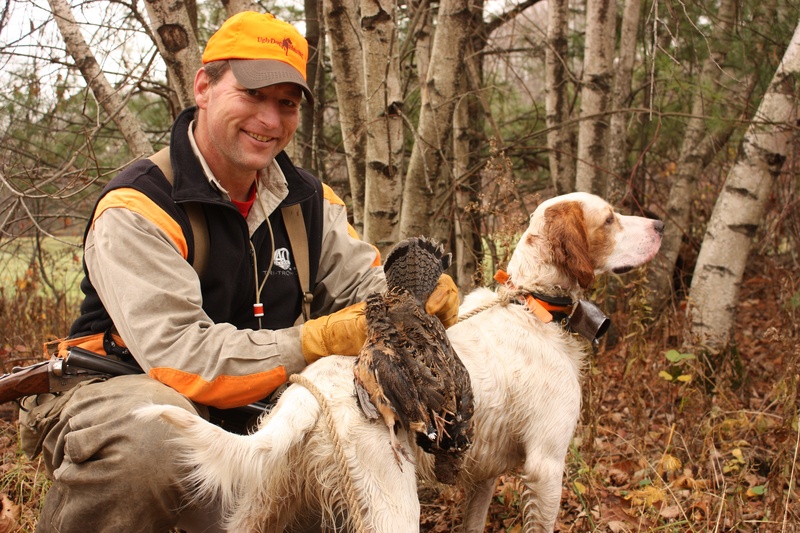 It's with good reason, for cutting loose a big-running dog helps handlers find the birds. After the birds are found the handler gets his hunters in position for a proper kill shot. When everyone is clear about his shooting lanes and safety protocol, a flushing dog is put on the ground to get the birds into the air. After birds tumble from the sky, the flushing dogs gather harvested game and then are picked up. The pointing dogs are released to find more birds. English springer spaniels, English Field Cockers, and Labrador retrievers are frequently used as flushing dogs. The issue of a shot dog often comes when a flushing dog puts birds in the air. If the dog has strong prey-drive, which we hope they all do, then he might leap up after the bird. There are a lot of different solutions to this issue, all of which involve patience. Hunters who wait for an extra moment find that gravity brings the dog back to earth. They also find that the bird has gained extra height, and hunters can take a safe shot with lots of blue sky between the dog and the bird. That degree of patience also means the shot can develop for another hunter in the group. His shot is probably more safe, too. 3. Low birds mean no birds. Sometimes birds fly low. Preserve hunts with recently liberated birds mean that some of the pheasant, Huns or quail might not be flight conditioned. They pop off the ground for a brief flight and then drop back down. It happens with wild birds on occasion. Every year I see a few migratory woodcock tired from a long night's flight pop up and then quickly drop down. In this situation there is only one answer: don't shoot. Follow up the bird for another point, but the better idea is to move on and find another candidate. If you're not excited when a dog is on point, then you're probably not passionate about bird hunting. But that doesn't mean a dog should bear the brunt of your excitement. 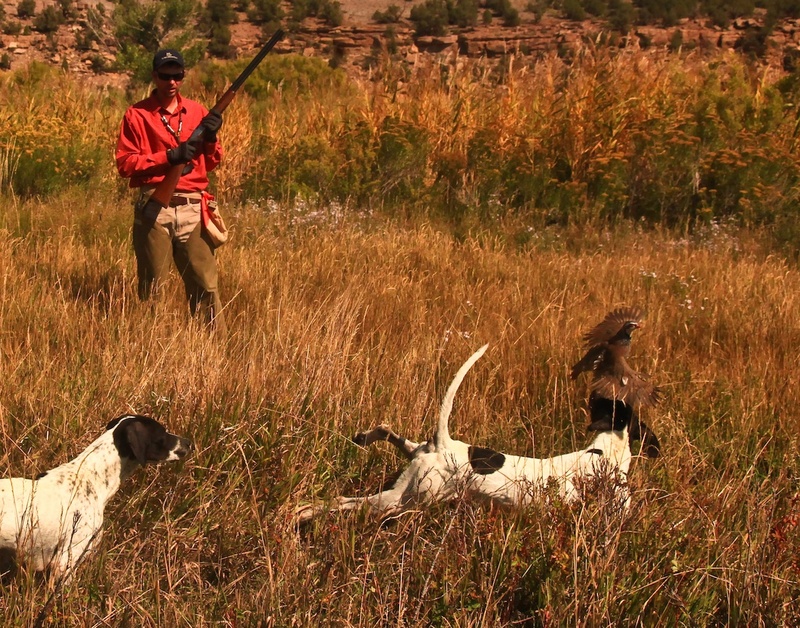 This season, let your shots unfold and only take ones that don't put a dog in harm's way. If you're in doubt of a shot, don't take it. That way you'll avoid a situation that is as miserable as it gets.